I have a Military and Law Enforcement background. I served for six years in the British Army in a Combat unit as an intelligence specialist before leaving and joining the Police. The vast majority of my career was as a CID Detective, involved in the investigation of serious crime cases and organised crime groups, via covert, proactive operations. I have been visiting Battlefields for almost 25 years and have been a Military Historian since my youth with my main interest being the Battlefields of both Eastern and Western Europe during World War 2. I currently conduct Tours on behalf of Leger Battlefield Tours. In 2003 I began Battlefield Tour guiding to the Eastern Front in 2003 and since then have led many tours to Battlefields in both Eastern and Western Europe. For over 10 years I have lead numerous Tours to Normandy and had the honour of escorting and meeting many veterans and veterans groups over the years. I also guide Tours to Arnhem, The Rhineland, Battle of the Bulge, Air War Europe (Dambusters, Colditz, Great Escape) and on the Eastern Front Stalingrad and the Baltic States. 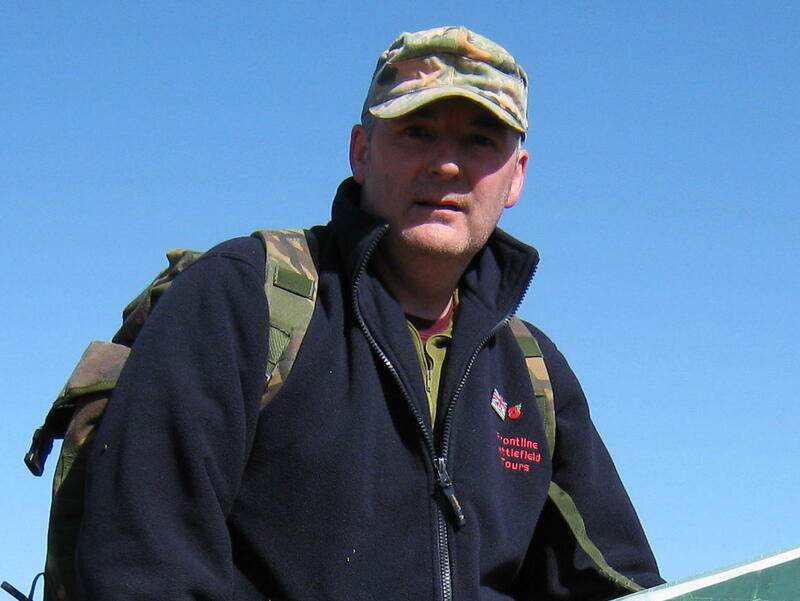 My other passion is Archaeology in conjunction with Military History and have been involved in Conflict Archaeology for the last seven years carrying out numerous excavations.